The Overlander sports bar is the best place in Shepparton to catch up with friends, watch the biggest games, races, boxing and UFC events. 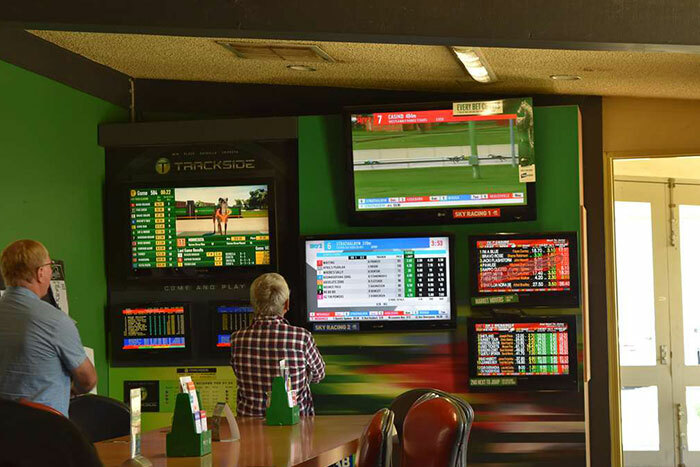 With full TAB, trackside, and KENO facilities you can also have a punt whilst enjoying a cold drink. We have a 150” projector to catch all the latest sports, 2 pool tables, arcade machines and beer garden. Come in for happy hour on Wednesdays between 5:30 and 6:30 and Fridays between 5:30 and 7:30. We also have a meat tray raffle every Saturday afternoon, and AFL and NRL tipping competitions. The Overlander Sports Bar is also available to hire for your next function. Download our list of packages below or give us a call to speak to one of our function managers.